So Tank and Lark will be waiting to have their portraits taken when you think you are good enough. Oh no, we all know you are good enough now. You just don’t think so. We’ll be waiting. And when you get super good at this technique, you might be able to do pet portraits for your friends! What a lovely watercolour Carol. With your crafting skills I’m sure you will learn a lot. Watercolour is my favourite. My local college holds classes and I did a term on oil painting back in the 80’s. The best thing I learnt was the mixing of colours. Instead of making a colour lighter by mixing it with white we were told to mix with gray. By adding gray repeatedly to a colour I ended up with a paint chart of wonderful shades of all colours. Think I enjoyed looking at that more than the three oil paintings I did. Have fun with your water colours. 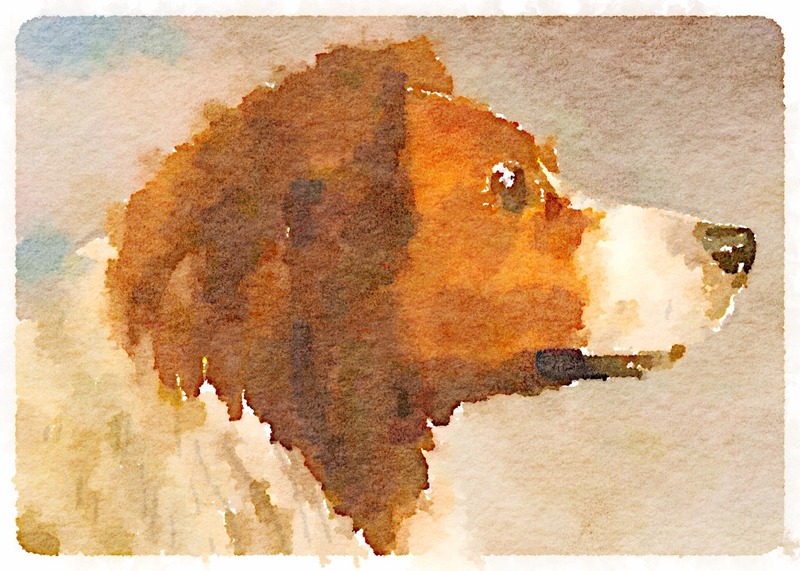 I’ve taken one class on watercolor way back when… but I’d love to take more! They’re fun… that much I can say!